DRS Lawn & Landscape was established in 1991. We are a full service landscaping, lawn maintenance, and snow removal firm located in Long Valley Northwestern New Jersey. 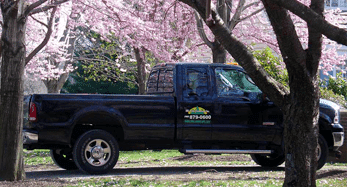 DRS Lawn and Landscaping provides complete residential and commercial lawn, landscaping, hardscaping and snow removal services in Tewksbury NJ, Long Valley NJ, Oldwick NJ and the surrounding tri-state area of New Jersey, New York and Pennsylvania. During the past 16 years, we have provided landscaping services to numerous commercial and residential properties in these areas. DRS is equipped with a full line of riding and walk behind commercial mowers, line trimmers, hedge trimmers, power egders, large leaf blowers, seeders, masonry saws, etc. We also have two backhoe loaders, a skid steer and a 40” hydraulic tree spade capable of transplanting trees up to a 4” caliper and six trucks with trailers. We are certified NJ hardscape installers, specializing in paver walks and patios, along with retaining walls of all sizes. DRS is experienced in every aspect of the landscape industry – Lawn Installations, Paver Walkways and Patios, Retaining Walls (modular or decorative), Plant Installation, Landscape Bed Maintenance, Field Mowing, Drainage, and Spring and Fall Cleanups in the Long Valley, Tewksbury NJ area, along with countless other services. View our portfolio. DRS Lawn & Landscape is a proud member of the New Jersey Landscape Contractors Association. We have the experience, equipment and personnel to offer you professional grounds maintenance, landscaping services and snow removal in Tewksbury NJ and surrounding areas.